Frees up valuable bench space. All you see is the faucet. Easy change, sleek modern design. 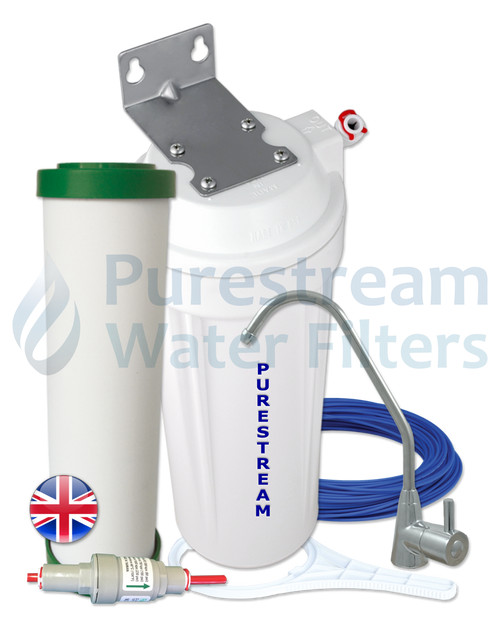 Premium carbon filtration to remove all chlorine, pesticides residue, lead and giardia parasites...will not remove fluoride. A comprehensive premium range of US made heavy duty water filter systems installed inline under the sink and provides the convenience of having the chrome faucet the only part of the unit visible. The faucet provides a separate access and does not interfere with the existing mixing faucet. Filtered water is drawn by merely turning the lever on the faucet. What's The Difference In The Cartridges? Difference between 78X and 78PB1 - 78X is coconut carbon and a natural source - 78PB1 is a coal based carbon and can leach phosphates in the water. 78CCER is for tank water for the removal of bacteria, or when copper is a concern. KwikTwist™ 0.3 Ultra Filtration for bacteria and giardia removal and post carbon for chlorine - simply twist off cartridges. Ideal for a single or small household. Not recommended where sediment or old pipes are present as the heavy duty carbon will need to remove both sediment and all chemical contaminants. 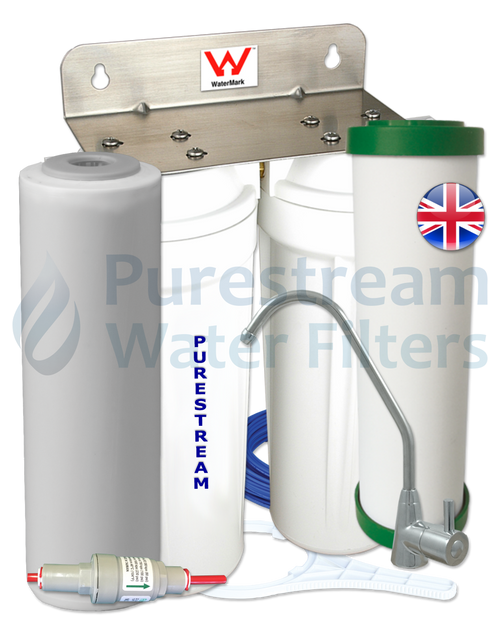 Includes sediment pre filter and double filters the water. Ideal for larger families when usage is considerable. Separate water faucet - does not interrupt normal water use and may be swivelled out of the way when not in use. Single and Twin models available for maximum cartridge capacity. Complete with inline, flexible hose or dishwasher connection.